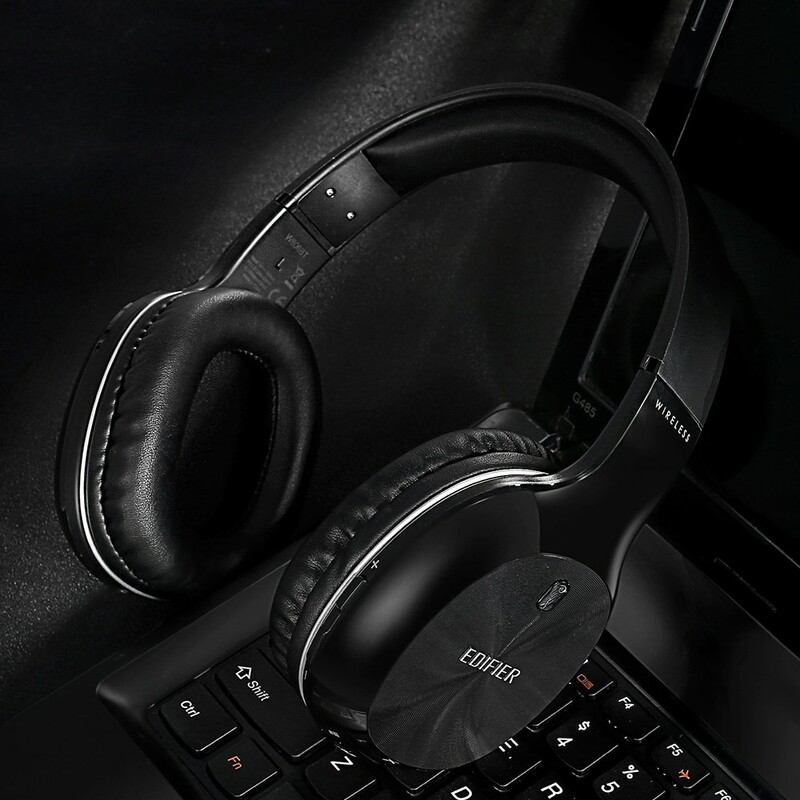 EDIFIER W806BT is a high-performance and multifunctional headset. It can be used both wired (via the 3.5mm audio cable) and wireless (via Bluetooth). Ergonomically designed headphone made with sturdy light weight materials, is the most durable Bluetooth headphone you can find with this price and quality. Huge capacity 1200mAh rechargeable Li-battery supports up to 70 hours of playtime and 800 hours on standby. Ergonomically designed headphone made with sturdy light weight materials, is the most durable Bluetooth headphone you can find with this price and quality. CSR technology with bluetooth V4.0 for high efficiency and no latency transmission, combined with 40mm Neodymium drivers for immersive HiFi sound. A 3.5mm audio cable is also included for wired connection, just enjoy your music with no limit. Fashionable and protable designed wireless headphone, ergonomic earlap design matches soft leather earcup and cushion, provides a passive noise cancelling function, also make sure long time comfortable wearing. EDIFIER Bluetooth headset provides a quick and stable connection with your Bluetooth-enabled devices, also provides controls for volume adjustment, playback control and calls management. A High quality built-in microphone for hands free calls. Soft earpads reduce ambient noise and grasp the detail of voice, offering high quality hands-free phone conversation. Note: Better not to use bluetooth headphone longer than an hour each time, it may cause damage to your ear, at least take off and relax your ear for 15 minutes after using this EDIFIER wireless headphone.